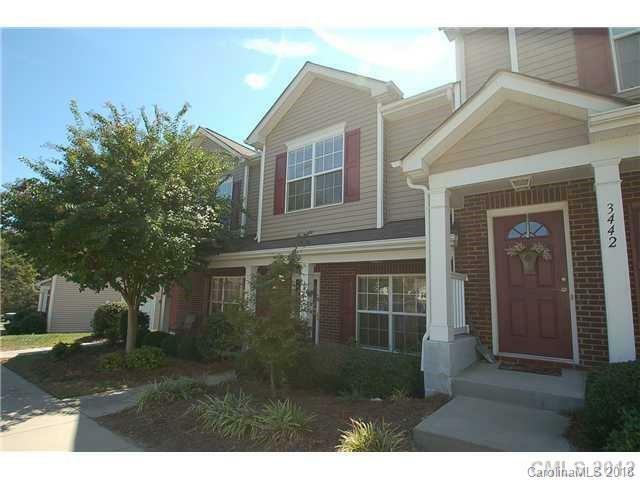 Concord Mills Area Town Home. Located in Mill Creek. This unit has 2 Spacious Master Suites Upstairs and 2.5 baths. Neighborhood amenities include pool and walking trail. Great Room, Kitchen with refrigerator, stove, and dishwasher. Adorable Fenced in Court Yard. Walking distance to Concord Mills Mall. Sold by Advantage Realty Group.